The Asian beauty realm is no stranger to products with super long names. By the looks of it, this facial mask fits right into that category. 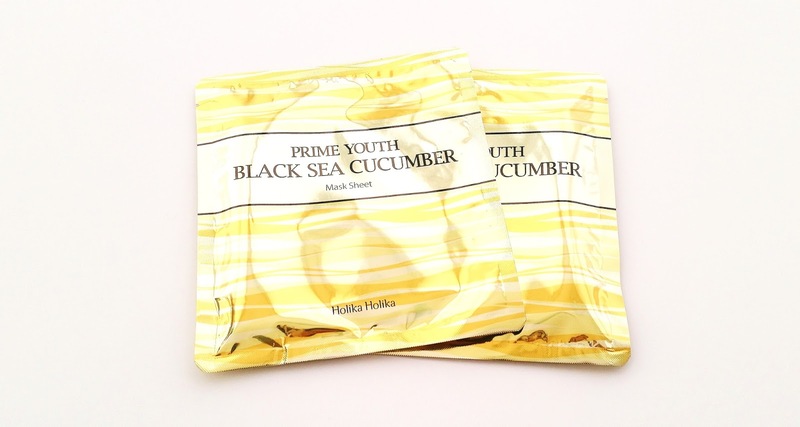 This is the Holika Holika Prime Youth Black Sea Cucumber Mask Sheet. Although I've tried a few skincare/makeup products from Holika Holika, these were the first masks I've ever tried from them. So, it was interesting to see what they had to offer. Holika Holika is a Korean beauty brand that's been around since 2010. They are owned by Enprani, which is another big beauty brand in Korea. (Interesting fact, Enprani is founded by Samsung and CJ Group.) Holika Holika falls somewhere in-between Etude House and Tonymoly in terms of brand identity. 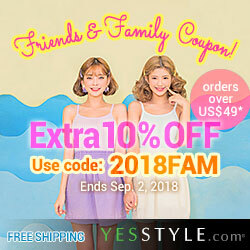 They have some eye-catching packaging, their products aren't expensive, and they have a good range of makeup and skincare products for everyone. They are also fairly easy to find locally, with shops both online and offline selling a good variety of their products. Product Description: The Holika Holika Prime Youth Black Sea Cucumber Mask Sheet is a gel like mask that utilizes the skincare effects of regeneration and hydration to heal the skin and create a more youthful appearance. This mask is formulated with black sea cucumber, which is rich in anti-oxidants and nutrients. Black sea cucumber also contains chondroitin which can help to boost collagen production and elastin reproduction as well. This effect can smooth out fine lines and improve the skin's texture and health. Aside from its anti-aging abilities, this mask can also brighten the skin giving it a more even complexion. 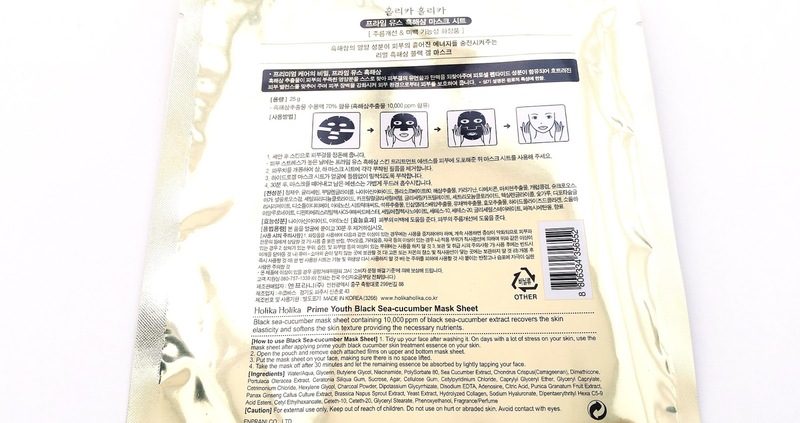 The mask also contains other anti-aging and nourishing ingredients such as ginseng and portulaca. With all these nourishing ingredients, the mask can relieve stressed skin and protect it from environmental damages. To Use: Cleanse and tone the skin first. This mask comes in 2 pieces. Take out the top piece and remove its protective layers before applying it onto the face. Repeat with the bottom piece. Leave the mask on for 20 to 30 minutes. Remove the mask and continue with the rest of your skincare routine. Ingredients: Water, glucerin, butylene glycol, niacinamide, polysorbate 80, sea cucumber extract, chondrus crispus (carrageenan), dimethicone, portulaca oleracea extract, ceratonia siliqua gum, sucrose , agar, cellulose gum, cetylpyridinium chloride, caprylyl glyceryl ether, glyceryl caprylate, cetrimonium chloride, hexylene glycol, charcoal powder, dipotassium glycyrrhizate, disodium EDTA, adenosine, citric acid, punica granatum fruit extract, panax ginseng callus culture extract, brassica napus sprout extract, yeast extract, hydrolyzed collagen, sodium hyaluronate, dipentaerythrityl hexa C5-9 acid esters, cetyl ethylhesanoate, ceteth-10, ceteth-20, glyceryl stearate, phenoxyethanol, fragrance/perfume. Packaging: The facial mask comes in a gold-ish packaging with wavy patterns on it. It's so shiny! The front of the packaging has its name while the back contains all the product information in both English and Korean. Inside the package, you'll find the mask comes in 2 pieces. Each piece also have protective layers to keep them from sticking to each other. The expiration date can also be found on the back of the packaging as well. Scent: Fragrance/perfume has been added to this mask. It has mild to medium floral scents with a hint of baby powder like scent as well. 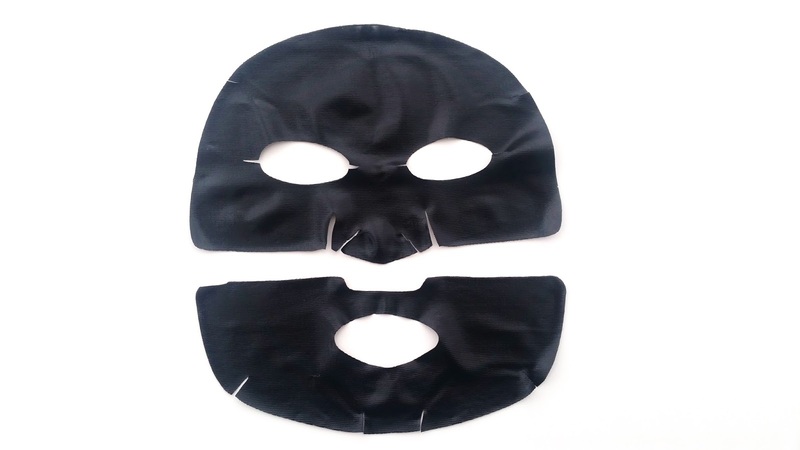 Color: The mask is black in color as you can see in the pictures above and below. Texture: The mask feels similar to a hydrogel mask in terms of texture. 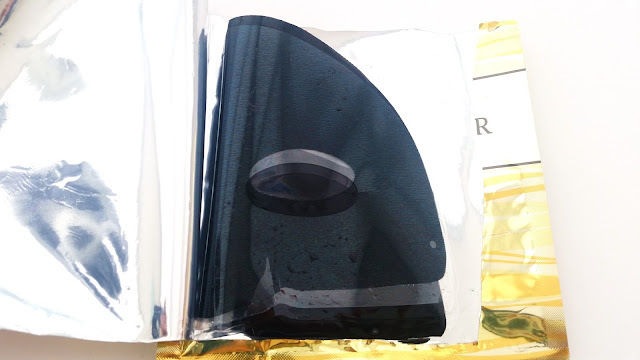 It has a thin mesh like structure holding up the gel mask and serum. 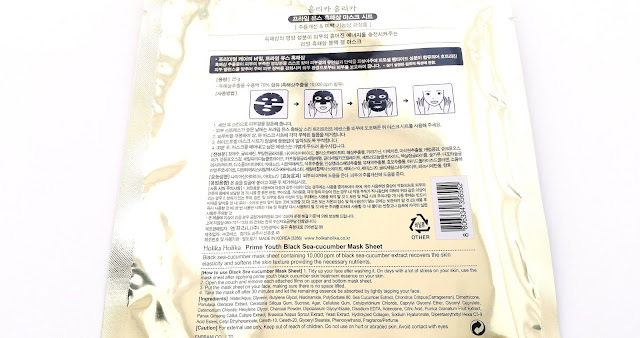 Michelle's Thoughts: I think these were my first black sea cucumber masks and they were definitely interesting. This was a hard mask to patch test because there was hardly any excess serum inside the mask pouch. So, I ended up cutting off a piece of the first mask to patch test with. The images above and below are from the second mask I used. Anyways, since these were my first black sea cucumber masks, I was extra careful in my patch testes. Luckily, there were no issues. So I went on to use both masks on 2 consecutive days. The first thing I noticed once I applied the mask was its fit. The fit/design is a bit awkward on my face. There needed to be more slits in order for it to sit nicely on the skin, otherwise it shifts on its own and makes air bubbles easily. So, as you'll see in the picture below, I made a few slits myself. The nose area was another issue. It doesn't cover the sides of my nose. Although, props to the mask for covering the tip of my nose. Aside from the fit, the mask has a floral/baby powder like scent that's not too strong but still strong when you first apply the mask. The scent lingers a bit but disappears after a while. I don't mind the scent but for people sensitive to scents, this mask might not work for you. As for its skincare benefits, it was on point for the most of it. The only issue I had was its anti-aging effects, which I will talk about at the end. Despite its lack of excess serum and the mask feeling dry-ish when applied, it actually left the skin feeling hydrated. The mask reminds me of those eye patches that are gel types but feels dry. You think they won't work because there's no gooey essence but when you remove them, your under eye areas still feel hydrated. Yeah, this mask is like a giant full face version of that. Hydration aside, this mask also fulfilled its brightening and soothing skincare promises. The mask feels really nice and relaxing on the face. It also left the skin a little brightened as well. The effect is slightly noticeable after the first mask, but it was a little more noticeable after I used the second mask the next day. Alright, let's talk about its anti-aging effects. 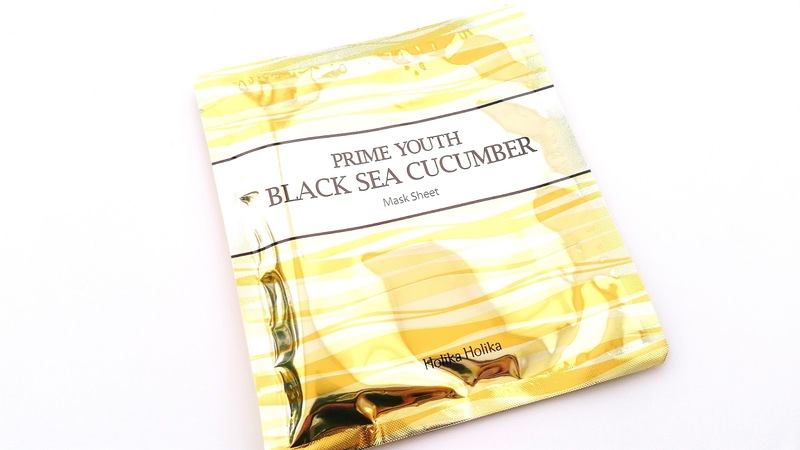 I was excited to see the amazing effects the black sea cucumber and all the other anti-aging ingredients can bring but I was left a little disappointed instead. 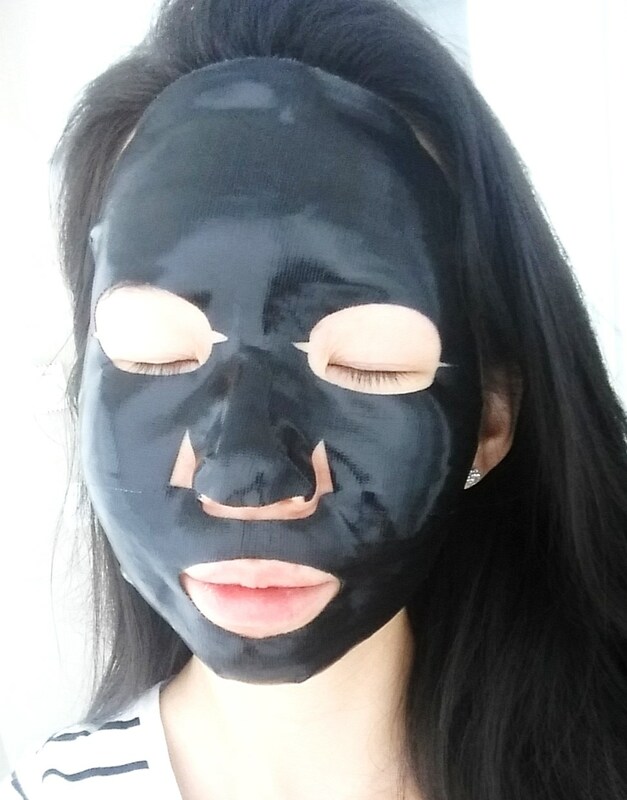 The mask did smooth and soften the skin, which was nice. It did smooth the fine lines, however, the effects weren't long lasting. Even after using both of the masks, the anti-aging effects were minimal. Nonetheless, looking at it from an overall perspective, this mask is pretty good and the various skincare benefits it offers really helps. The little slits on the nose, chin and temples were made by me to help the mask fit better. Final Thoughts: I put anti-aging as both a pro and a con for this mask because while there were some good anti-aging benefits, it wasn't as much as promised. So, it fell into both categories. I like this mask despite its few cons. It's a great mask after a long and tiring day as it's soothing and relaxing on the skin. It provides some noticeable effects right away such as its brightening and softening effects. The scent doesn't bother me and the fit can be fixed with a few slits, so it works out. As an anti-aging mask, it's not the best choice. However, as a hydrating, brightening, and soothing mask, this works well. Would I repurchase this in the future? These masks are originally $5 each (or more) depending on which shop you buy them from. Personally, I don't think they are worth $5. $3 maybe but not $5. I actually got mine on sale for $1 each and that's really worth it. So if there's another sale for them that'll be $1 each, I will buy again. Do I think these are worth a try? Yes, if you can get them on sale. If they are less than $3 each, do give them a try because they are nice masks. However, if it's more than $3 maybe wait for a sale to come along.